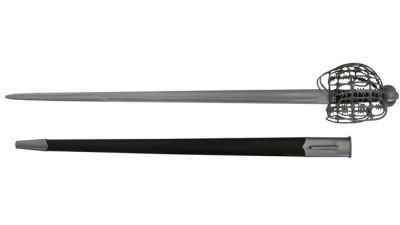 We offer a large selection of historically accurate functional battle ready swords from the top forges. Windlass Steelcrafts® are producing authentic, hand forged in a semi-production environment by accomplished blade smiths. The result of this labour of love is unmatched even by today's most modern equipment. 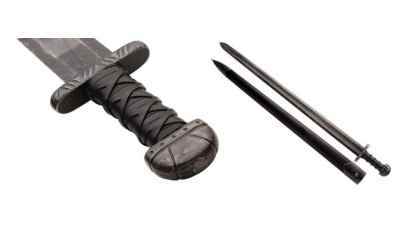 We are also proud to offer hand made functional swords by Darksword Armoury. Most of Darksword Armouries swords are produced right here in Canada. IN STOCK- On Sale Now! 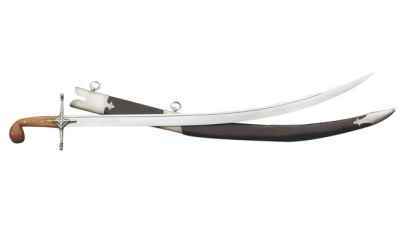 The original scimitar was called a shamshir, (which meant "lions tail") and had a deeply curved blade that was almost a half circle. This Mid 18th Century Scottish Basket Hilt Back Sword is from a group of which about a dozen examples are known. 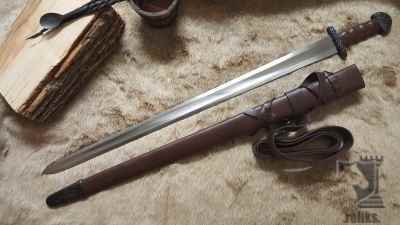 What is a Functional European Sword (Battle Ready Sword)? 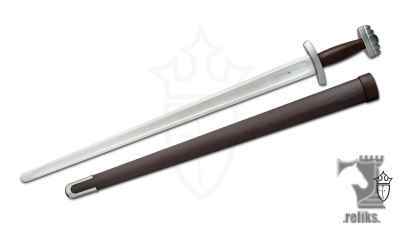 A functional European sword is a sword that has been produced, with proper sword production practices for the purpose of sword cutting, medieval re-enactment or rehearsed stage sword choreography. 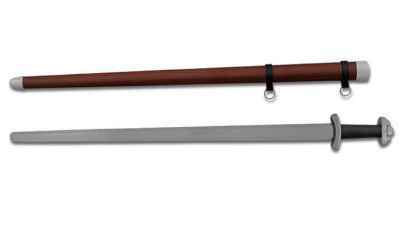 Functional European swords are most commonly recognized as "The Medieval" sword even though this class of sword is not restricted to the medieval or dark ages. The European sword designs are found throughout history including British pattern swords which were carried by cavalry officers in the American civil war. “Battle ready swords” is a term that has been adopted throughout sword selling websites to describe the Medieval or European functional sword. 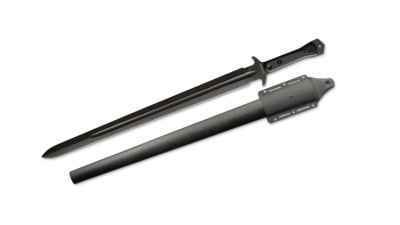 You will find the term “battle ready” used throughout our website, however we prefer to use “Functional sword”. A functional sword is forged just like the originals, with the assistance of modern forging equipment the process remains the same. 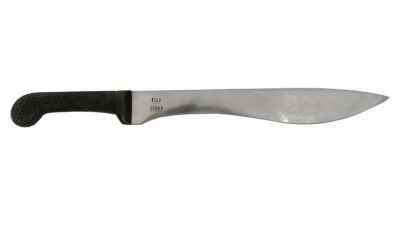 The sword blade is hammered and forged from a billet of high carbon steel, finished and shaped by hand. 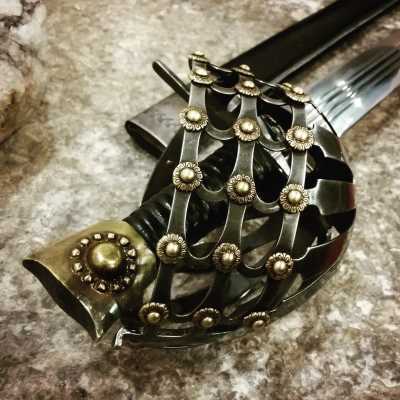 One of the most important steps in the swords production is proper blade tempering ensuring the right amount of flex so that the sword blade and sword fittings can withstand the high impact of repeated sword cutting. 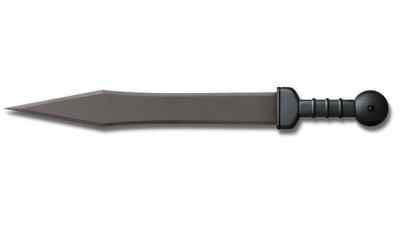 A functional sword will have a traditional tang that is an extension of the blade though the hilt and pommel. The blade will either be pinned (peened) or have a pommel button, which is a special nut that fastens to the sword tang. 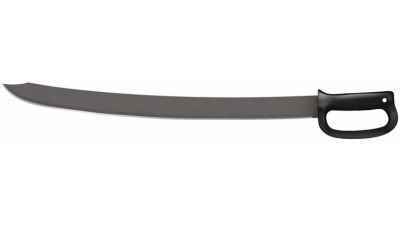 Unlike a simple decorative sword which welds a thin rod to the tang (rat-tail), the tang of a functional European sword is constructed from the same piece of steel during forging to maintain the swords strength. How easy is it to use a Functional Medieval Sword? Most of our functional medieval or European swords come un-sharpened for the sword collector and medieval re-enactor. 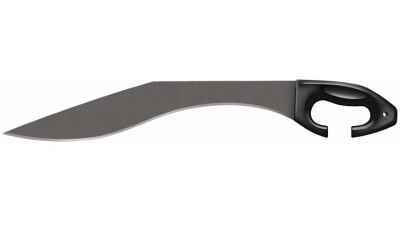 There are several different blade options available for cutting or stage depending on your needs. Cutting or using a sword can be done quite easily as long as you keep safety in mind. 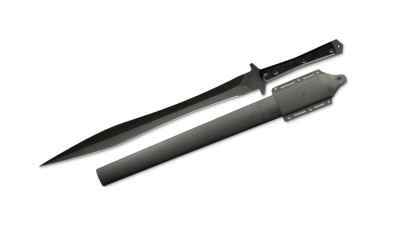 Swords are very long blades for the purpose of cutting and should be treated with respect. The basic use of a sword is a lot of fun but don't expect to become a sword master over night. Consider a medieval knight would train from 6-7 years old for several years to perfect the art of the sword. There are several sword resources available online if you would like to persue Western martial arts and perfect your sword tecnique. Medieval squires would often train with wasters (practice swords) before ever touching a live blade. Whether you enjoy being an occasional backyard cutter, practice the sword for film or theatre, enjoy medieval re-enactment or want to seriously pursue sword martial arts, there is nothing like the feeling of holding a good quality functional sword.